Quick quiz Ms. Attorney General: What’s more “violent”, drawing this or trying to kill the person who did? Quran Hate Speech. Obama’s Attorney General Loretta Lynch responded to the Dec. 2 Islam-inspired slaughter in San Bernardino, Ca. by making a pledge the very next day to a Muslim lobbying group that she would prosecute anyone who used “anti-Muslim” rhetoric. Violent talk not American? Well, she may have a point. 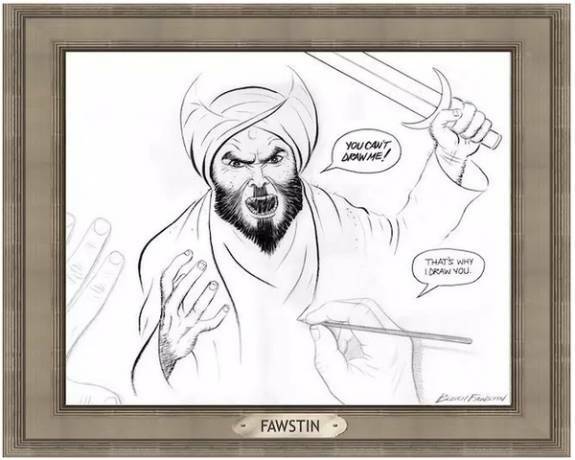 Pamela Geller brilliantly produced some very striking examples of violent talk found in the Quran which can be found here and are reproduced below. This talk is certainly unAmerican in our view. 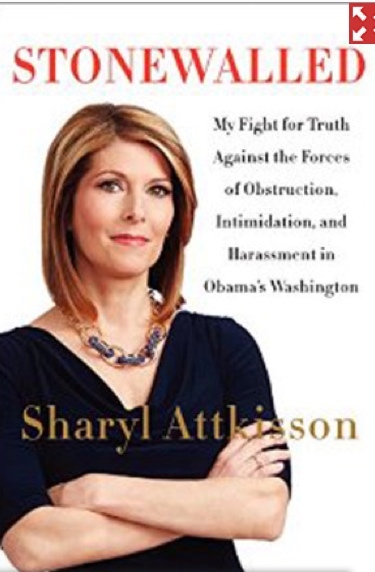 Former Emmy-award winning investigative reporter and substitute CBS-anchor Sharyl Attkisson and her family are suing the Obama Administration over the apparently government-sponsored bugging of her computer. Specifically named in the lawsuit are former Attorney General Eric Holder, former Postmaster General Patrick R. Donahoe, the U.S. Justice Department and the Postal Service. She is asking for $35 million. She says that three separate computer forensic exams showed that hackers used sophisticated methods to monitor here work between 2011 and 2013 while at CBS. She says she has “pretty good evidence” that these efforts were connected to the Justice Department. This is a rather serious and scary scandal. You would think she would be a household name at this point. Ms. Attkission resigned form CBS in 2014 saying the network tried to stifle investigations into Obama Administration scandals. Michael Cottone has published an article in the Tennessee Law Review describing how literally no one now can keep the centuries-old principle ignorantia legis neminem excusat i.e. ignorance of the law excuses no one. He noted that it was a great thing in its day when laws were few and based on a commonly understood morality. Today, however, with the advent of “regulatory crime”, which are laws written to enforce administrative schemes and called “public welfare offenses”, literally nobody can know what all the laws are. He cited as an example a guy who got lost on a snowmobile during a blizzard and ended up on federal land where snowmobiling was illegal. Rather than be cut slack he was prosecuted. That sort of thing does not happen in a just society. Traditionally one needed intent to become a criminal. “Tellingly, no exact count of the number of federal statutes that impose criminal sanctions has ever been given, but estimates from the last fifteen years range from 3,600 to approximately 4,500,” Cottone said. Cottone notes that Congress, according to one study, enacts 60 new criminal statues a year and this does not include new regulations that carry a criminal penalty. “Our criminal justice system fails to be “understandable” so as to comport with the internal morality of law—especially because of the highly technical nature of regulations,” he wrote. Abuse of the legal process is by definition unjust and those entrusted to uphold it yet abuse it will face an inevitable backlash. Cottone’s article can be found as a pdf download at this link. Alex Mayyasi has a great article on the history of the Witness Protection Program at Priceonomics.com. Mayyasi describes the program a being one of three major factors — the RICO Act and the use of wiretapes being the others — in beating the Mafia. Mayyasi writes that U.S. Marshals have relocated 8,500 witnesses since the program formally began in 1971 and that no one who has stayed in the program has been killed. He says family roots have sprung from the program. Attorney General Eric Holder has been on a media rampage after tough questioning by Congressman Louie Gomert (R-TX1), a former judge. Holder was held in contempt of Congress in 2012 after failing to turn over documents relating to a ATF stunt called Fast and Furious that caused a large amount of guns to end up in the hands of Mexican crime lords one of which was used to kill Border Patrol agent Brian Terry. Holder initially denied that the Department of Justice had the documents and was held in contempt. The Obama Administration made the problem go away by asserting executive privilege over said documents. Gohmert noted that Congress still has yet to get the documents it sought. The next day, our nation’s chief law enforcement officer went to a group founded by proven liar Al Sharpton and implied that Gohmert’s treatment of him was racist. 1. Sociopaths are charming. Sociopaths have high charisma and tend to attract a following just because people want to be around them. 2. Sociopaths are more spontaneous and intense than other people. They tend to do bizarre, sometimes erratic things that most regular people wouldn’t do. They are unbound by normal social contracts. Their behavior often seems irrational or extremely risky. 3. Sociopaths are incapable of feeling shame, guilt or remorse. Their brains simply lack the circuitry to process such emotions. This allows them to betray people, threaten people or harm people without giving it a second thought. They pursue any action that serves their own self interest even if it seriously harms others. This is why you will find many very “successful” sociopaths in high levels of government, in any nation. 4. Sociopaths invent outrageous lies about their experiences. They wildly exaggerate things to the point of absurdity, but when they describe it to you in a storytelling format, for some reason it sounds believable at the time. 5. Sociopaths seek to dominate others and “win” at all costs. They hate to lose any argument or fight and will viciously defend their web of lies, even to the point of logical absurdity. 6. Sociopaths tend to be highly intelligent, but they use their brainpower to deceive others rather than empower them. Their high IQs often makes them dangerous. This is why many of the best-known serial killers who successfully evaded law enforcement were sociopaths. 7. Sociopaths are incapable of love and are entirely self-serving. They may feign love or compassion in order to get what they want, but they don’t actually FEEL love in the way that you or I do. 8. Sociopaths speak poetically. They are master wordsmiths, able to deliver a running “stream of consciousness” monologue that is both intriguing and hypnotic. They are expert storytellers and even poets. As a great example of this in action, watch this interview of Charles Manson on YouTube. 9. Sociopaths never apologize. They are never wrong. They never feel guilt. They can never apologize. Even if shown proof that they were wrong, they will refuse to apologize and instead go on the attack. Holder meets more than a few. Other prominent powerful people meet even more. We must learn to stop trusting our career politicians. U.S. 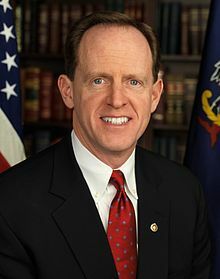 Senator Pat Toomey (R-Pa.) today, Feb. 6, sent a letter to his colleagues expressing his grave concerns over the nomination of Debo Adegbile to serve as Assistant Attorney General for the Justice Department’s Civil Rights Division. Mr. Adegbile was chosen by President Obama and the Senate Judiciary Committee is slated to vote on the nomination today. Recently, President Obama nominated Mr. Debo Adegbile to serve as Assistant Attorney General for the Justice Department’s Civil Rights Division. I have grave concerns over this nomination, based on Mr. Adegbile’s decision to represent Mumia Abu-Jamal. On December 9, 1981, Mumia Abu-Jamal murdered 25-year old Philadelphia police officer Daniel Faulkner. Abu-Jamal’s guilt has never been in doubt. Four eyewitnesses saw Abu-Jamal rush across the street to where Daniel Faulkner was, shoot Officer Faulkner once in the back, and then shoot Officer Faulkner several more times in the body and face. Three other witnesses attested that they heard Abu-Jamal boast that he had shot Daniel Faulkner. It was no surprise when a Pennsylvania jury convicted Abu-Jamal and sentenced him to death. Unfortunately, some were not content to let Daniel Faulkner’s young widow to grieve in peace. In 2009, twenty-seven years after Daniel Faulkner’s death, the NAACP Legal Defense Fund (“LDF”), decided to join the case-first as an amicus and then as co-counsel for Abu-Jamal. This was not a case of every defendant deserving a lawyer: Abu-Jamal already had multiple, high-priced lawyers volunteering their time and filing dozens of petitions and appeals over two and a half decades. Under Mr. Adegbile’s oversight, LDF lawyers spread misinformation, promoted division among the American people, and blocked justice for the family of Officer Daniel Faulkner. The lawyers Mr. Adegbile supervised promoted the myth that Abu-Jamal was a heroic, political prisoner who was framed because of his race, instead of the cowardly, unrepentant killer that he is. Recently, Mr. Adegbile has attempted to downplay his role in the Mumia Abu-Jamal case. The Justice Department’s website explains, the Civil Rights Division “fulfills a critical mission in upholding the civil and constitutional rights of all individuals.” This requires the head of the Civil Rights Division to have an absolute commitment to truth and justice. There are many highly qualified Americans who can carry out this critical mission. Mr. Adegbile’s record creates serious doubts that he is one of them. For these reasons, I ask you to oppose the nomination of Mr. Debo Adegbile to serve as Assistant Attorney General for the Justice Department’s Civil Rights Division. Cruz, a Harvard Law graduate whom Professor Alan Dershowitz calls “off-the-chart brilliant,” exposes the Obama Justice Department’s hit list. On the hit list is freedom of religion with Christianity as the primary target. Long a bane to the liberal Left is that the Ten Commandments — that are foundational to the Judeo-Christian faith — served as the biblical inspiration for both the U.S. Constitution and Capitalism. True Christians stand with Israel much to the disdain of Democrat Presidents from FDR, to Jimmy Carter, up to Obama who treats the Jewish nation as an irritant at minimum. True Christianity is a blockade to bigotry and tyrannical aspirations. In an outrageous attempt to increase its power, the Obama administration attempted to usurp the right of a church to choose its own pastors. In the case, Hosanna-Tabor Evangelical Lutheran Church & School v. EEOC, the Justice Department reportedly argued before the U.S. Supreme Court that it “had the right to oversee a church’s choosing of ministers.” The Supreme Court foiled Obama’s egregious attempt to curtail a fundamental right of churches. In a 9-0 opinion, the justices sided in favor of the Lutheran Church. For further details on the case, click here. Christianity is under siege by the Obama administration. The day Barack Obama swore on the Bible to uphold the U.S. Constitution — which includes the freedoms of speech and religion — the assault began. Obama’s gibes at Judeo-Christian belief and scripture are well documented by a list of affronts, which are easily verified by existing video and audio recordings. Gaining control of who preaches in Christian churches would have given the Obama administration control of the message. Obama acolytes in the pulpit would be in position to convolute scripture to serve their political ideologies. Everyone hears the echo of eternity – even Liberal politicians seeking to deny religious freedom to others. Deeming themselves a greater power over the people than God — is a presumption of all Socialists-Marxists in government. Called pastors belong in the pulpit, not frauds seeking to distort, mock or obscure scripture. Sharon Sebastian is a columnist, commentator, author, and contributor to various forms of media including cultural and political broadcasts, print, and online websites. In addition to the heated global debate on creation vs. evolution, her second book, “Darwin’s Racists: Yesterday, Today & Tomorrow,” highlights the impact of Social Darwinism’s Marxist/Socialist underpinnings on the culture, the faith and current policy out of Washington. Jay Hileman Aryan Brotherhood — Assistant U.S. Attorney Jay Hileman has withdrawn from a large Aryan Brotherhood of Texas racketeering case in Houston due to fears and threats following the murders of Kaufman County (Texas) District Attorney Mike McLelland and his assistant prosecutor Mark Haase. The Aryan Brotherhood, which has its genesis in the Texas prison system, has been suspected of involvement in the McLelland and Haase murders, and is said to have strong connections to Mexican drug cartels. Hileman’s office, of course, is federal and he is ultimately accountable to President Obama. His action doesn’t make one warm and fuzzy about the President’s ability or willingness to keep us safe from the bad guys. The acts of terror aimed at law enforcement are akin to the plot of The Turner Diaries, a book that would give any decent-minded person nightmares. possession of firearms for average citizens. It’s what Mexico does, after all. Freshman Congressman Pat Meehan (R-Pa7) used the skills he honed as the Delaware County District Attorney who convicted John duPont and the U.S. Attorney who took down State Senator Vince Fumo to get a hapless ATF bureaucrat to fess up that a whole lot of federal agencies were involved in a convoluted scheme to smuggle guns to Mexican drug cartels in the name of law enforcement. The bureaucrat was William Newell who was the Bureau of Alcohol, Tobacco and Firearms and Explosives’ special agent in charge of Operation Fast and Furious which began in October 2009 on the watch of Attorney General Eric Holder. He told Meehan during a congressional hearing, Tuesday, July 26, that the Immigration and Customs Enforcement Agency, the Drug Enforcement Agency, the Internal Revenue Service, and the FBI all knew about it. At least the Washington bureaucrats who run those agencies. Fast and Furious was allegedly a ‘sting’ operation in which the feds twisted the arms of gun dealers in Arizona to sell 1,800 firearms — most of which were AK-47 style semi-automatic rifles — to straw buyers for the drug cartels and which were allowed over the border to Mexico without the knowledge of the Mexican government or even U.S. agents in that country. Newell could not explain how the United States would prosecute those drug cartel bosses in whose hands the weapons wound up. It would be fodder for a sitcom except that a lot of innocent people were killed by those guns including U.S. law enforcement officers. The Mexican government is not happy. Some are saying that the real motivation behind Operation Fast and Furious was to make gun dealers and Second Amendment defenders look bad which would plough the ground for stricter gun control. You are not paranoid if they really are out to get you. Quick question: have you read about Meehan’s performance in any of his hometown media? Justice Department official Christopher Coates told the U.S. Commission on Civil Rights, yesterday, that prejudice and racial bias run rampant in the department from leadership to staff, and civil rights violations against white voters are routinely and premeditatedly ignored. Coates is a former ACLU lawyer and long-time Justice Department investigator who ran the Department’s Voting Section from 2008 until December 2009 when he was transferred to the U.S. Attorney’s Office in South Carolina. Coates was subpoenaed by the Commission about the time of his transfer to testify regarding the New Black Panther Party voter intimidation case but was directed not to comply by his superiors. Coates told the commission he is finally testifying to correct information Assistant Attorney General for Civil Rights Thomas Perez had supplied the Commission, the final straw apparently being an Aug. 11 letter in which he again denied a request that he be allowed to testify. Coates is claimed “the protections of all applicable federal whistleblower statutes” before testifying. The New Black Panther Party case stems from an incident Election Day 2008 at a polling place at 1221 Fairmount St., Philadelphia. SamirShabazz, and Jerry Jackson made racially disparaging remarks to voters while dressed in military garb, with Shabazz carrying a nightstick. The Justice Department filed suit and won a default judgment against them when they ignored the charges. This judgment, however, was dismissed in May 2009. Coates said he believed the case was dismissed due to “deep-seated opposition to the equal enforcement of the Voting Rights Act against racial minorities and for the protection of whites who have been discriminated against”. Coates had earlier described his experiences prosecuting Ike Brown, a black who chaired the Democratic Executive Committee of Noxubee County, Mississippi. White voters and candidates had complained to the Justice Department in 2003 that elections had been administered in a racially discriminatory manner and asked that federal observes be sent to the primary run-off elections. Coates said that what he observed during the election was some of the most “outrageous and blatant racially discriminatory behavior at polls” in his 33-plus years as a voting rights litigator. He wrote a preliminary memorandum summarizing the evidence and recommended an investigation under the Votes Right Act with a civil injunction against Brown and the local Democrat committee to stop the pattern of discrimination. This was forwarded to Joe Rich, who was then chief of the Voting Section, who sent it on without the part in which an injunction was recommended. He said he later learned that the Rich had said he omitted the information because he didn’t believe an investigation should be made. Approval, however, was obtained albeit finding personnel willing to perform the investigation was not easy. Coates said one social scientist responsible for researching a jurisdiction’s history flatly refused to participate. An attorney with whom Coates had previously worked told hm that he had not come to the Voting Section to sue African American defendants. Still another attorney told him that he was opposed to bringing voting rights cases against blacks until the socio-economic status of blacks in Mississippi was that same as whites there. Still, with the help of one attorney and paralegal new to the Voting section, and the support of the Civil Rights Division front office a suit was filed and Ike Brown was removed from superintendent of the Democratic Executive Committee of Noxubee County. Coates said, however, that a young black paralegal who volunteered to assist on the case was the subject of vicious harassment by co-workers including an attorney, as was his mother who was also Civil Rights Division employee. Coates said because of his experience in the Ike Brown case he began to ask new applicants for trial attorney positions if they would be willing to ignore color and prosecute claims of discrimination against white voters. Word got back to Loretta King who had been appointed Acting Assistant Attorney General for Civil Rights by President Obama. Coates said she called him to her office and specifically prohibited him from asking such questions. He said Ms. King had been highly critical of the filing of the Ike Brown case. Coates also explained that the reasons cited by the Justice Department for dropping the New Black Panther Party case were unreasonable. He said, for instance, that citing the determination of a local police officer who ordered Shabazz to leave but allowed Jackson to stay because he was a certified Democrat Party poll watcher was something he had never seen in his 13 years with the Department of Justice. He said police officers are not trained in what constitutes a voting rights violations and that local police have on occasion had sympathy for the persons who were violating the voting rights act. Coates also testified that Voting Rights section was willfully refusing to enforce the National Voter Registration Act, which includes a requirement that states ensure voter registration list remove the names of those no longer eligible to vote in a jurisdiction. The Voting Section began filing cases under the list maintenance provision during the Bush Administration. Coates said that there were states that had reported that no voters had been removed from the list in the last two years. “I do not believe that Voting Section has recently been involved in any list maintenance enforcement during the Obama administration,” Coates said. According to Coates’ testimony, acts of intimidation are far more common that is popularly believed. Coates testified that during his tenure as chief of Voting Section a prolonged investigation concerning Wilkinson County, Mississippi, a majority-black county, reveled that the home of a white candidate for local office was burned. No one was ever prosecuted for the burning. He said a bank that was being used to store absentee ballots in majority-black Hale County, Alabama was burned in attempt at election theft. Again, no one was ever prosecuted for the arson. A pdf file of Coates testimony can be found here . And despite, the strong Philadelphia angle there was nary a mention of what Coates said in either today’s Philadelphia Inquirer or Delaware County Daily Times.